Botox is injected in muscles which cause the formation of lines on skin. Botox paralyses the muscles and does not allow them to contract. Results last several months but are not permanent. Botox, if injected properly is safe. Botox or botolinum toxin is injected in muscles which are causing the formation of lines on the surface of skin. Botox paralyses the muscles and does not allow them to contract, making the skin taut and smooth with less visible lines. Results last several months but are not permanent, repeated treatment is necessary. Botox, if injected properly is safe. Botox or Botulinum toxin type A is produced by a bacteria that also causes botulism which is a type of food poisoning. Small, diluted doses of the toxin when injected into muscles can cause muscle weakening as it blocks the chemical signals from the nerves. The controlled weakening of muscles prevents the muscles from contracting resulting in reduced appearance of wrinkles on the skin surface. The wrinkles which are formed due to sun exposure or gravity cannot be treated by botox. Apart from its use in improving facial appearance by reducing wrinkles and lines, botox is also used for other health problems such as excessive sweating and muscles spasms. The procedure involves botox injections being administered into specific muscles which are causing wrinkles or fine lines on the skin’s surface. The botox injections are done with a fine needle and very little pain is experienced. No anesthesia is required to perform this cosmetic procedure. Depending on the extent of wrinkling you might need more injections to relax the muscles. The procedure takes only a few minutes and the effects of botox lasts for five to six months. As the botox effects fade away, the wrinkles begin to re-appear and treatment is required again. Botox treatments do not require any resting or suspension of any activities by the patient. Normal, day to day activities can be resumed after the procedure. Avoid doing any strenuous activity or sports for the next 24 hours. Avoid massaging the area where botox has been injected as the toxin might spread to the other muscles causing temporary facial muscle weakness. Avoid lying down for the next four or five hours. A potential customer for botox treatment is one who has started showing early signs of ageing in form of wrinkles and fine lines on the facial skin. Individuals whose appearance is getting affected due to worry lines making them look pensive or angry can opt for botox injections. Since botox treatment is non-invasive and comparatively easier than other surgical treatments, it is a good option for those who want to avoid invasive cosmetic procedures. Temporary bruising accompanied with pain at the site of treatment. Temporary weakening of facial muscles in nearby areas or droopy eyelids which happen due to movement of botox from the place of treatment to other areas hence avoid massaging or lying down. Headaches which go away 24 hours after the treatment. 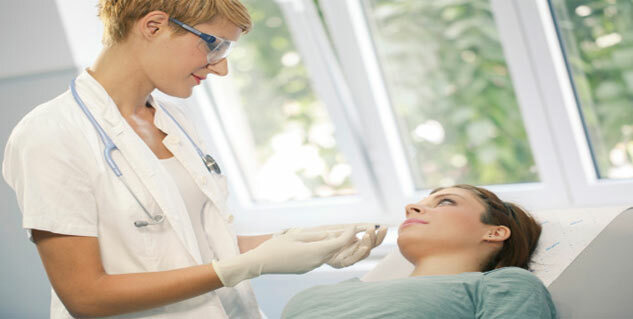 Botox treatments need a skilled hand so choose your doctor carefully and it is important to tell your doctor of any medical conditions that you have to prevent any serious complications. Any medications that you might be taking need to be conveyed to the doctor too. Pregnant or lactating mothers should not take botox treatments. People with neuromuscular diseases do not make a good candidate for botox as it may have adverse effects. Patients with an allergy or infection at the site of treatment are not to be given botox injections. Certain medications can aggravate side effects of botox so one needs to disclose medical history as well as medication to the doctor.